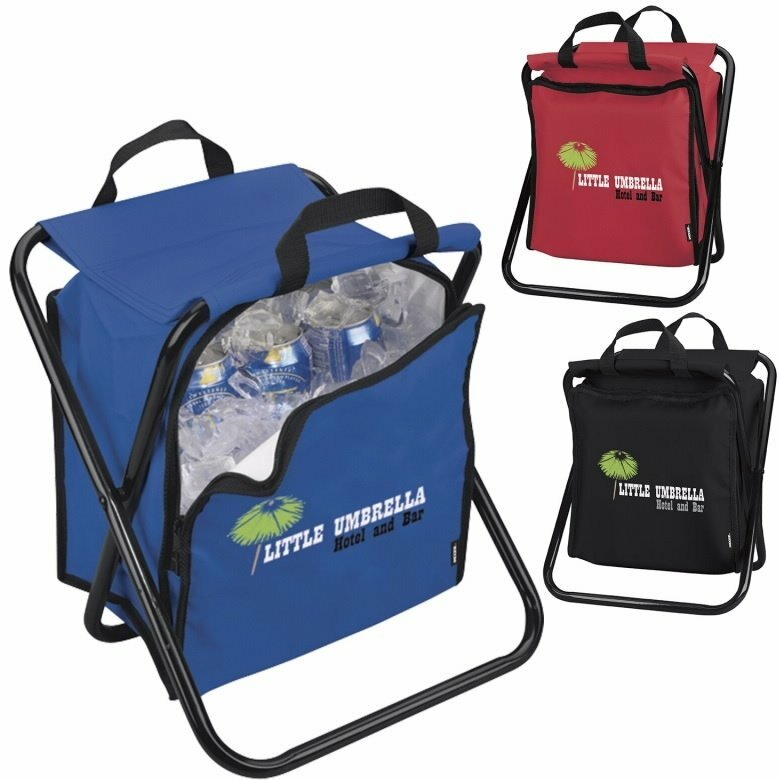 Your logo printed on Koozie Folding Cooler Chairs for promotional items. For gifts choose this portable outdoor fishing folding chair with cooler. The cooler chair also functions well for the beach, outdoor events. a max weight limit of 250 lbs. Colors: Blue, Red & Black. Price includes one color imprint on front area 7" w x 7" h.
print color add setup & run charge of $.69 each.